No such thing as coincidence? So, what’s this thing with Barbara, Piet and Dag? thou shalt not believe in coincidence. But I’ve always had a penchant for connectedness. To me that’s what coincidence is – and it’s what we do. We’re social beings. We seek connectedness. Today I’m procrastinating. Should be writing the bigger thing. The book. But instead I’ve been reading a chapter in someone else’s: On Pilgrimage, by Jennifer Lash. I’ve read the whole book several times. Usually when I’ve dropped the thread of my voyage through life, can’t quite place myself in my own landscape. But not today. Today it started when I was packing a silly present to send to my godson. A contraption into which you put an open ‘beverage’ can, then place a chicken over it for flavoursome cooking. Beer, I suspect will be his beverage of choice. So, I took On Pilgrimage off the bookshelf, then returned to sifting through the cards. At the bottom of the box were some very big ones. Sculptures in a park. Forms by Barbara Hepworth. Her work trips a switch in me. And I had the urge to write about her. Not for the first time – nor the twenty-first time. Instead, I went to Google. For some strange reason an image came unbidden. Construction crucifixion. 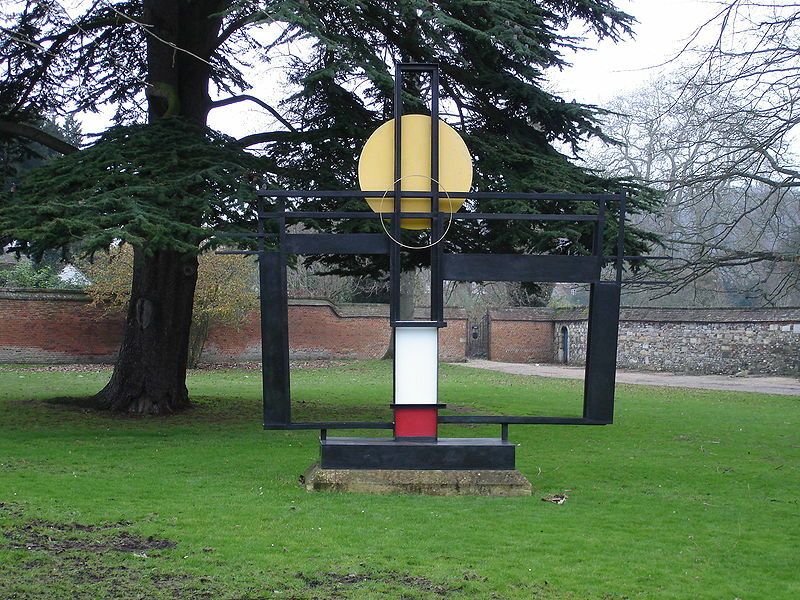 A homage to Mondrian by Barbara Hepworth. In the grounds of Winchester cathedral. Construction crucifixion homage to Mondrian. A major Mondrian exhibition started this weekend in Liverpool. I plan to go this week. And we once lived in Winchester. I know, pretty tenuous connections – but you must admit, at the very least it’s a coincidence of timing. And, despite all I’ve read and seen I had no idea this work existed – till today. There’s an element of bloody-mindedness about my devotion to Barbara. A woman born in Yorkshire in 1903 becomes an internationally renowned artist. But Henry Moore, another Yorkshire artist, ALWAYS eclipses her in this country. They were rivals. There are scholarly debates. Did Barbara pierce a form before he did? Who cares? I like her work. And I find the person – the woman – utterly intriguing. I see pictures of her odd young head, that broad, interesting forehead. See images of the older Dame Barbara, diminishing in stature as her work grew bigger. And I see my history tutor at college. I’ll call her Mrs X. A quirky, wren-like woman, Mrs X was a highly respected scholar. But she spoke like a dribbling tap – and terrified many of her students. Judging by the portrait on her wall, she’d been a beauty when young. The vulnerability of age, the decaying of her mortal frame, hit her hard. The Dubonnet, kept in a cupboard in her study, was a well-known source of comfort. One day, when a friend and I were having a tutorial, she made a sad confession. She’d been put on drugs to help her stop drinking. In an awful side-effect for a woman whose life revolved around book-learning, her sight had almost vanished. She couldn’t even mark our essays. I liked her, kept in touch till she died. I still have her last letter. Perhaps Barbara was nothing like her. And perhaps she was. But I feel an empathy that’s hard to explain in any other way. I imagine her, cooking dinner for her triplets and her artist husband during World War II. Growing vegetables, looking after others.Her own creative space the gap between bedtimes and bedtime. That husband – Ben Nicholson, left her. Despite the heartache, was she relieved, at last – to be free? Free to be selfish – about her art? I think about her in her latter days, in her lush, secluded upstairs garden. Sleeping across the road from the studio where her more titanic pieces took on life. And I think about a work I have not seen. One that fills me with awe, nonetheless. Outside the United Nations secretariat building in New York is a towering sculpture. Called Single Form it stretches 21 feet – 6.4 metres – into the sky. The UN building dwarfs it, but there’s no mistaking its presence. Dame Barbara made many, smaller ‘single forms’ along the way. One, in sandalwood, from 1937-8, belonged to United Nations Secretary Dag Hammarkskjöld. He was an admirer of her work – and a friend. But it was not he who commissioned the monumental single form. Because it’s a memorial. 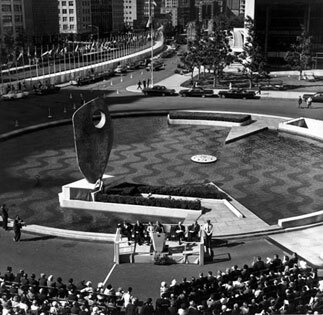 Dag Hammarskjöld was killed, in a plane crash, in 1961. Anyone who knows me – or my blog – knows about my connectedness with Zambia. I turned to the chapter on Taizé in the pilgrimage book. It’s background for a church scene I’m writing featuring my priestly detective. I’d read the first page when the phone went. I put down the book – and only then noticed a subhead below the chapter number. A quote. This entry was posted in Art, jaunts & going out, Thinking, or ranting, or both and tagged Barbara Hepworth, beer, Ben Nicholson, connectedness, Dag Hammarsköld, Jennifer Lash, Mondrian, pilgrimage, Sir Walter Raleigh, St Ives, United Nations, Winchester Cathedral. Bookmark the permalink. 6 Responses to No such thing as coincidence? So, what’s this thing with Barbara, Piet and Dag? Impressive. Moving. I had just started working on the Copperbelt in Zambia when the plane Dag Hammarskjold was in crashed there. Refugees were flocking across the border from the recently independent Congo, for which the Belgians had left it completely unprepared. 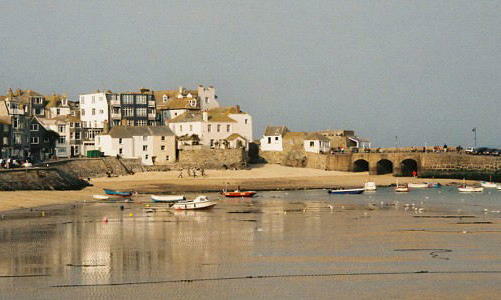 It was much later that I visited Barbara Hepworth’s home in St Ives, Cornwall, my mother(‘s) country. Thank you John, I’m glad you liked it. Your response is now part of the piece – connectedness in action. I find the incident of his death very shocking even though it is so long ago and far away. He leaves a sort of media-based aura, that of a good man, or so it feels to me. Did conspiracy theories abound then about the crash, or were they a later phenomenon? I’d be interested to hear more about that time in Northern Rhodesia’s history. P.S. Zambia still then Northern Rhodesia and the refugees white Belgians. Love this piece Mary … very touching and the co-incidence commandant! Also, I love the idea of pilgrimage! It always appeals to me somehow. I want to walk the Camino and get my scollop-shell! Thanks Tess – yes, pilgrimage appeals a lot, doesn’t it? I recommend the book I mentioned if you can get it,’On pilgrimage’ by Jennifer Lash. I just looked it up and it’s on Amazon, used – cheap – and also saw a write up about her on Wikipedia. She died in 1993 on my birthday … But of course I don’t believe in coincidence. She made a very interesting journey, after having treatment for breast cancer. No blinding flashes or revelations or even resolution, but a real journey of mind and body by one determined woman on her own.